The ultimate boxing day cold-cut. 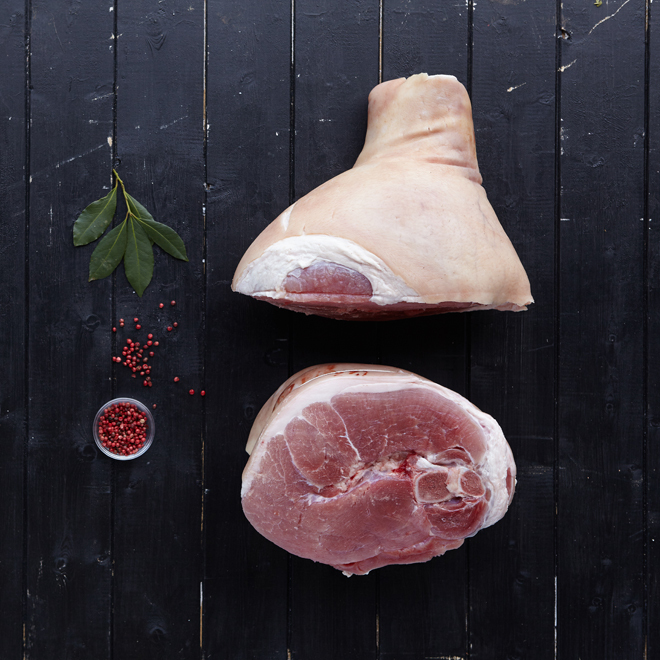 One of our home-cured cider, honey and juniper gammons will make a stunning centre-piece for any family meal. Perfect served whole, glazed and studded with cloves before being sliced and accompanied by an autumn-fruits chutney. Guests will be sneaking back to snaffle slices long after the Christmas celebrations have finished! Please note all our gammons are sold uncooked (rather than as cooked hams). Sussex Street Food & Butchery Finalists 2018!